Results Are Out & It’s Ranveer Singh Topping The Charts! The first month of 2019 has passed and we already got a glimpse of what Bollywood music has in its store to offer. While last year’s Aankh Marey (Simmba) and Kamariya (Stree) still holding the position in the chartbuster list, it’s Ranveer Singh’s Gully Boy topping the charts! Recently, we conducted a poll asking for the favourite song of January segment from Koimoi countdown. It received a great response with about 3,030 people participating. 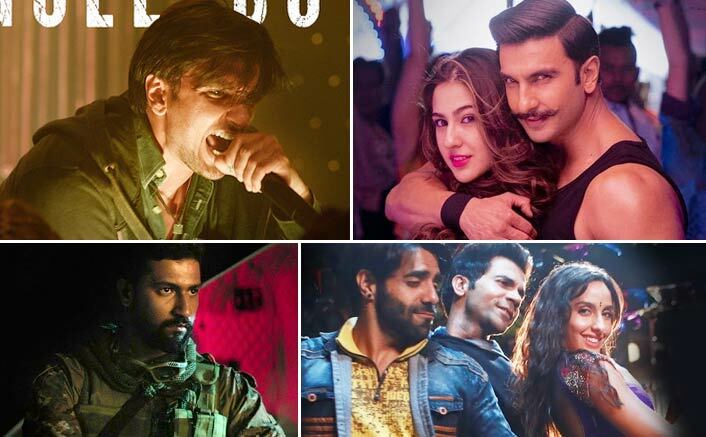 Koimoi Bollywood Music Countdown January 2019: Results Are Out & It’s Ranveer Singh Topping The Charts! With a vote share of 24.55% (744 votes), Gully Boy’s Apna Time Aayega has emerged as the top favourite. It is a commendable achievement since Ranveer Singh, himself, has lent the voice to the song. The motivational track is composed and penned by Dub Sharma and DIVINE. On the second position, it’s again Ranveer’s sensational recreation Aankh Marey. Recreated by Tanishk Bagchi and crooned by Mika Singh and Neha Kakkar. The party track has amassed 23.66% vote share (717 votes). Challa (Main Lad Jana) from Uri: The Surgical Strike is at the third place with 9.9% votes (300 votes). The remaining songs- Kamariya (Stree), Ek Ladki Ko Dekha Toh Aisa laga (Ek Ladki Ko Dekha Toh Aisa Laga), Bharat (Manikarnika: The Queen Of Jhansi), Paisa Yeh Paisa (Total Dhamaal), Poster Lagwa Do (Luka Chuppi), Vijayi Bhava (Manikarnika: The Queen Of Jhansi) and Meri Gully Mein (Gully Boy), got placed at 4th, 5th, 6th, 7th, 8th, 9th and 10th position respectively.